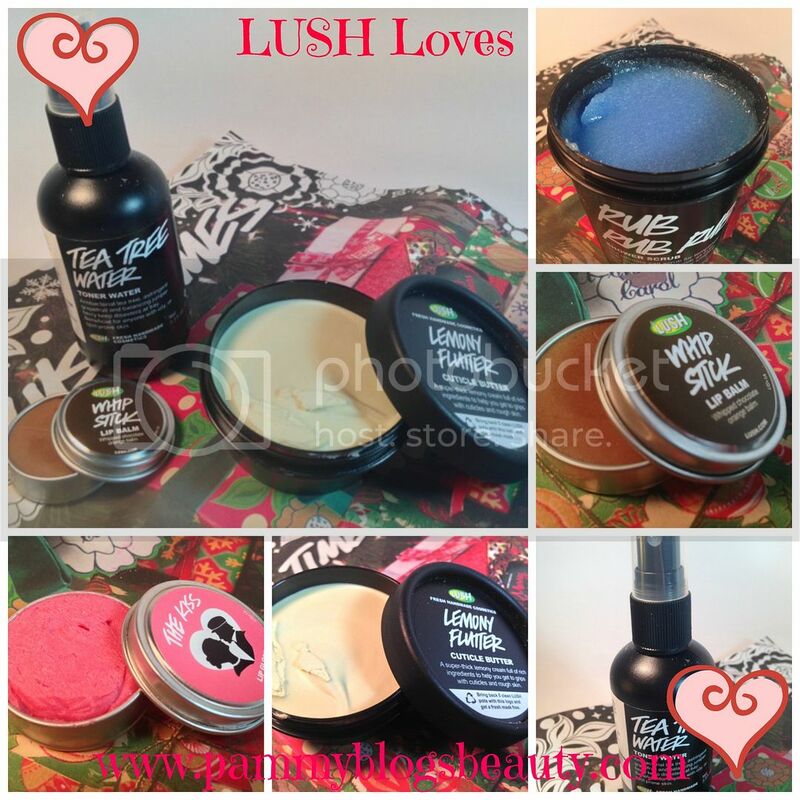 Pammy Blogs Beauty: My Home Spa: Latest Loves from LUSH! My Home Spa: Latest Loves from LUSH! It is time for a "My Home Spa" update! As ya'll know, I am all about bath time lately. As a super busy stay-at-home Mom of a newborn and a toddler, undisturbed "me time" is very rare. My best bet for relaxation and tranquility? Retreating into my bathroom for a nice bath. I am trying to do this at least a couple times a week when my husband can take over bedtime duties with my toddler and my newborn. Speaking of "my home spa" aka: my master bathroom, I might do some posts on my ongoing process of decorating my bathroom and transforming it into a "spa-like" room. After many years in a crowded urban home, we moved to the outer burbs a few months ago and I finally have my "dream space": a large master bathroom. Would you all be interested in reading about that process? I am very excited about it! It is taking awhile as I want to buy art, decor, furniture, and organizational pieces that really speak to me and work with the space. So far, it is painted (a nice sea/teal blue), we have changed out some of the fixtures, and I have found a large painting to hang. My next step is purchasing either a large plush bench or a chaise and a linen tower for next to the tub. I think that I need some plants and some containers to hold my bath products as well. I would love to hear some ideas about how to organize my bath products around my tub! My other spa "escape"? My morning shower. Often, it has to be super short as I need to be back on Mommy-duty. However, using luxurious shower products makes that 5 minutes in the shower just that much more "special". I am finding that I am pretty much addicted to my latest additions to my shower gel and body scrub collection. Uplifting scents and nicely textured scrubs are both relaxing and invigorating for me in the mornings. So, needless to say, I am digging my new LUSH shower items! With how much I am into baths lately, you know that I am excited to try out some new items from LUSH! 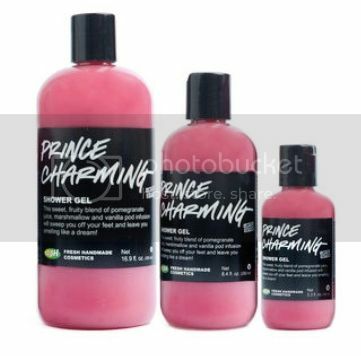 Here are the items that I tried from their Valentine's Day collection: Love Locket Heart Breaker Bath Bomb, The Kiss Tinted Lip Balm, and the Prince Charming Shower Gel. Plus, I got a few new items from their regular line like the Tea Tree Water, the Lemony Flutter Cuticle Butter, and the Rub, Rub, Rub scrub. Overall, I am in bath & body heaven with my new LUSH products! If you want to hear more about each item, please click "read more" below! 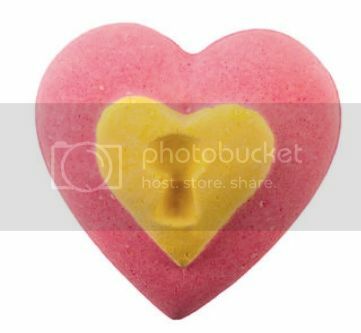 This Love Locket Heart Breaker bath bomb was a new item from LUSH for Valentines Day 2014. 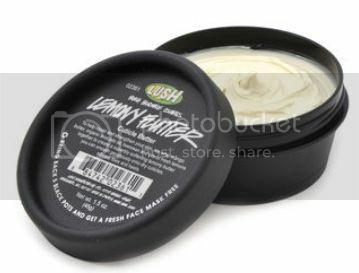 While it is out of stock on the website, you might be able to still find these in the LUSH stores? If not, lets hope that LUSH brings these back for V-day next year! This bath bomb was just *so fun* to use! First of all, it is *HUGE*! It was actually meant to be broken apart for multiple baths (you can get at least 3-4 baths out of Love Locket: I got 3 baths). When you break it apart, you will see that there is a heart in the center. The outside layer contains paper hearts and the inner heart layer contains red agar seaweed hearts. When you drop this bath bomb in the tub, it creates a fabulous fizzy display while turning your water a lovely pink color and releasing the little pink hearts that float on the surface of the water. It pretty much does not get any cuter or more girlie than this bath treat! What fun! Plus, this scent is just to-die-for: vanilla, jasmine, and neroli. I am thinking there needs to be a perfume of this scent. I like it that much! My skin is left super soft and moisturized after soaking in a bath with Love Locket. While soaking in the tub, you can feel the oils from the Love Locket bath bomb on your skin. So lovely!!! The only downside is that you do have to wipe little hearts out of your tub after you use it (but that was easy and took 2 seconds). Worth it for the cuteness!!! Retails for $10.95 (yes, it is pricey, BUT you get at least 3 baths from this). This tinted lipbalm from LUSH is soooo buttery! 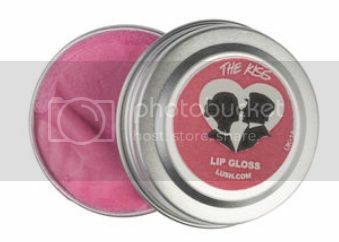 It is super moisturizing while leaving your lips with high shine and a nice pink color. The whipped buttery base is shea and cupuacu. Organic mandarin and almond oil and agave bring the high shine and the flavor. Guarana powder is included for all-natural lip plumping. The shade is really pretty and flattering to my fair skin tone. I love wearing this! Retails for $9.25. This is a new and limited edition shower gel for Valentines Day. While this also looks like it is out-of-stock, you may be able to find it in stores. The scent is very fresh and energizing: grapefruit and pomegranate. Also included: vanilla, marshmallow root, and almond oil. It leaves me smooth, moisturized, and nicely fragranced! Great for shower or bath! Retail price varies depending on size. I am not gonna lie, my cuticles are in rough shape. I am constantly changing diapers between my newborn and my toddler. Plus, it is flu season...needless to say, I wash my hands constantly. This is wreaking havoc on my cuticles. This Lemony Flutter Cuticle Butter treatment is certainly helping! However, I think it is going to be a few weeks before my cuticles start looking back to normal. This super moisturizing cuticle butter smooths and softens my ragged cuticles. The fresh lemony scent is soooo addictive. I literally keep smelling the pot while I am applying this cuticle butter, lol. You can even use this on other rough body parts like elbows and heels. I like using it on stray dry patches on my hands. The lemon brightens skin and lightly exfoliates. I love, love, love this cuticle butter: it is a Holy Grail item for sure!!! I use this absolutely every single night before bed and during the day as often as I can remember to. I think I need to get another pot of this cuticle balm for next to my skink when I wash my hands. Retails for $16.95. OMG! One of my all-time favorite toners for sure! While this is a relatively new addition to my skincare rotation, it is certainly going to be a long-term favorite. It saved my pregnancy skin and it continues to be a love of mine post-baby! I find it to be very effective for preventing breakouts in my trouble area: my chin. Consistent use has helpted to clear up my skin for sure. Granted, I don't break out that often, but when I do, its my chin. 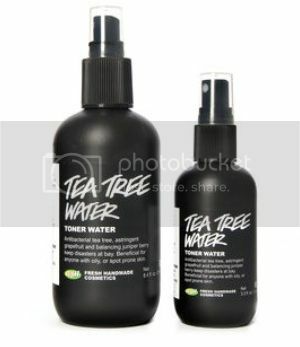 Tea tree, juniper berry, and grapefruit work together to cleanse, tone, and balance skin. Plus, it does not dry me out. Love it!!! Retail varies from $9.95-$21.95 depending on size. I find that I am really craving shower scrubs lately. They are just so invigorating!!! Both my husband and I love this scrub! Rub, Rub, Rub is a super thick bright blue mineral-rich sea salt scrub. I love the fresh mimosa scent! Retails for $21.95. As ya'll can tell from my post, I adore all of my new bath & body/shower products from LUSH! Even when I can only escape into my bathroom spa "oasis" for a few minutes, these nice products make the experience that much more relaxing! My fellow LUSHies, what are you loving lately from LUSH? I am always looking to try new LUSH products! I've been meaning to try their toners. Currently, I'm loving Lush's Rose Jam shower gel and Creme Anglais lotion. Sadly, they were limited edition and discontinued, respectively, so I'm relishing my large bottles. @mousewings-I LOVE the Rose Jam shower gel...the scent is amazing!! !